The area of Lecale is steeped in history with each town making its own contribution to the rich narrative. 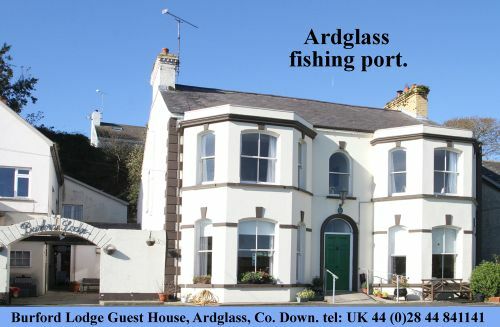 The fishing town of Ardglass has an interesting tapestry of history dating back to the Iron Age. In the past millennia it has accumulated its own unique history with castles, tower houses and the natural harbour providing many tales of knights, sailors and local characters. Michael Howland said: “I’ll be concentrating mainly on from the Medieval era to around the time William Ogilvie built the harbour in 1813. There is much built heritage still in Ardglass and I’ll be looking at this and the history of the castles up to the early nineteenth century. As part of the celebration of the launch of the Lecale information panels, local historian Michael Howland will be sharing his knowledge of Ardglass in the lounge in Old Commercial Bar on the 8November at 7.00pm. This premises itself is part of the interesting history of the village. Come along and join in this free event organized by the Strangford Lough and Lecale Partnership and cosy up to hear ‘The’ Origins of Ardglass’. Also if you have any tales of your own, everyone would love to hear them. Spaces are limited so please rsvp to anna.liesching@strangfordlough.org by Thursday at noon.